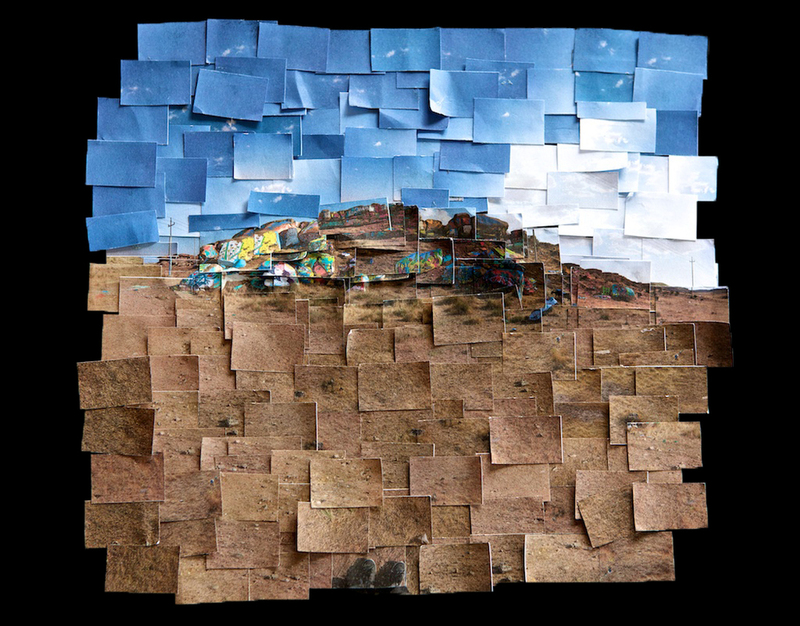 For the degree show, I have been mocking up what a large scale montage of the peace mountain would look like. I have printed and stuck small versions of the prints to get a sense of the look/feel and to help approximate the scale. The whole engagement with both places as subjects is to see what can be achieved in positive intervention. The final exhibition will attempt to start dialogue about the tensions both in Luton and Iraq and the relationship between the two places. I aim to print and display the final works on large digital c-type prints and have considered recreating the peace for Luton mountain in a large photo-montage, which I collected the images for at the site.